I am a budget friendly wife. Actually, I basically manage all our money. I know what the value of a dollar is and I sure know how hard we work for our money. So? I buy store brands once in a while. I get it-some store brands don’t taste like the “real thing” but some do so I get them and save money. 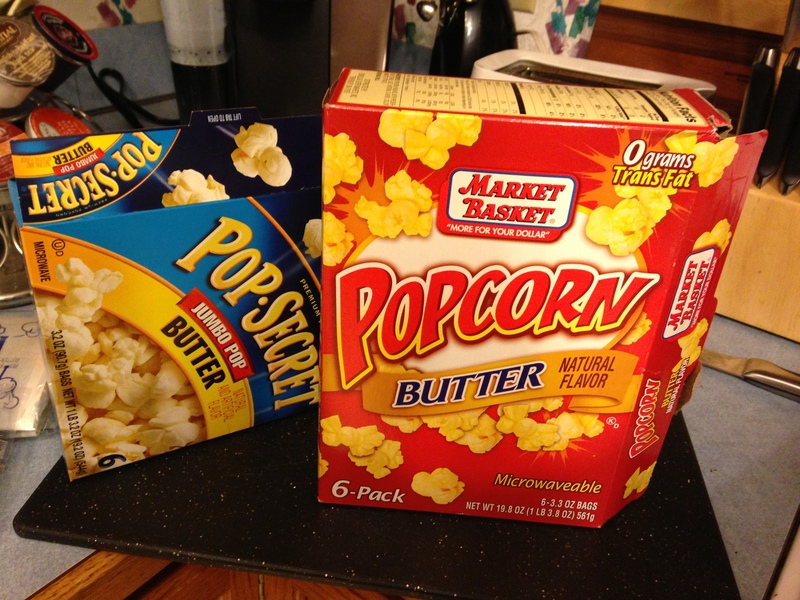 My husband is convinced that the store brand popcorn is “gross” and the ones that are twice the price are “so much better”. The box was almost empty so I filled it back up with the Market Basket stuff. 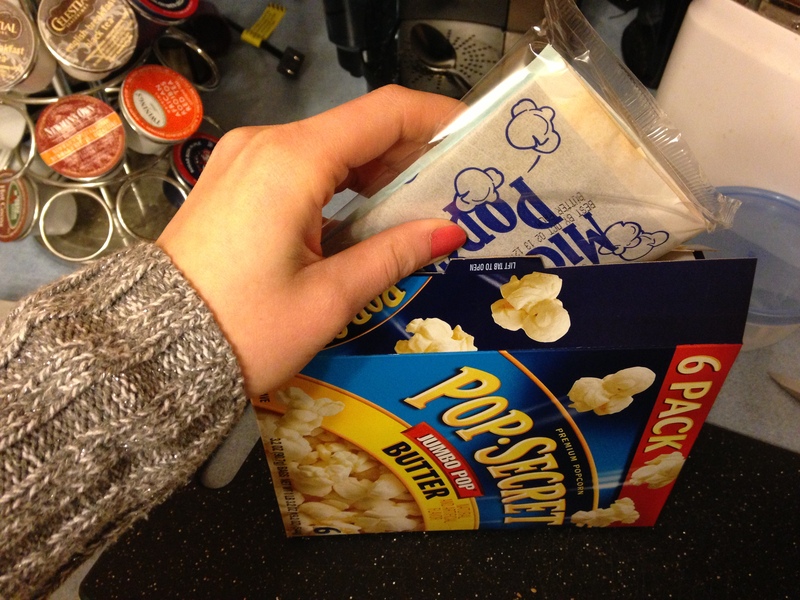 To be fair, there might be a difference (if there is, I can’t tell) but my husband is definitely no popcorn connoisseur. I’ll update once we have some popcorn with the results. I do think I am a genius! p.s. 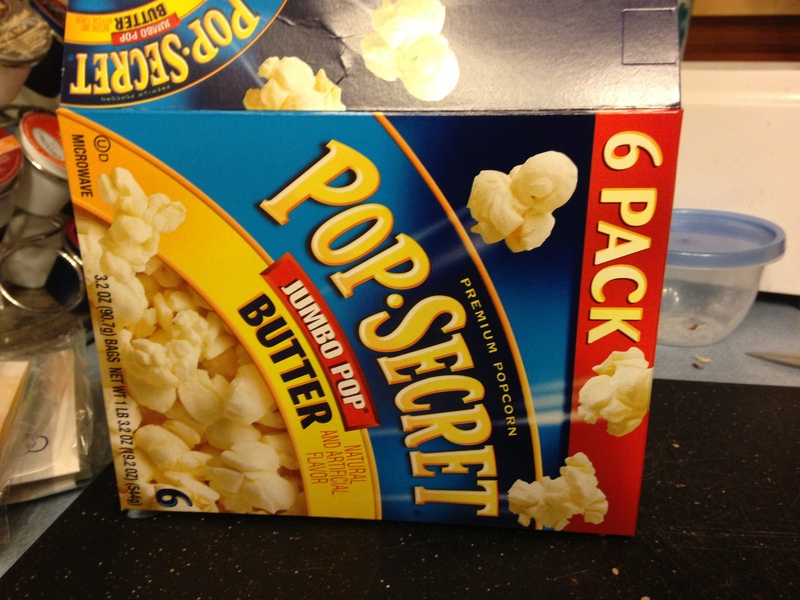 He does not read my blog and the packaging on the store brand just says “Microwave Popcorn” so he will never notice 🙂 This could be a savings of at least $25 a year. Minimal, I know but that is a pair of jeans and I am ok with that. < Previous My lists of 3 things happy!